Kim Williams joined United Group in 1987, and hasn’t looked back. She’s climbed the ladder of success to United Group’s Senior Vice President of Finance, and is a senior member of the management team. She is an integral part of the finance division and has been a dedicated professional. During her tenure, Kim has held a variety of positions ranging from marketing, accounting, administration, and property management. The United Group is grateful for all of Kim’s hard work and dedication the past 30 years. 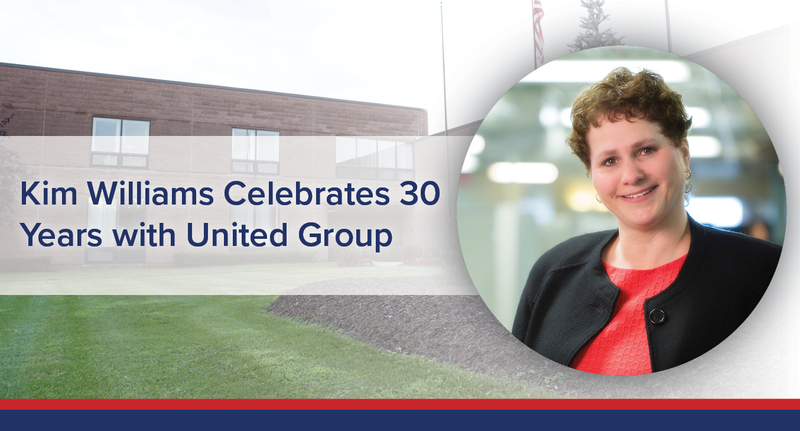 Learn more about Kim’s three decades with United Group below. The excitement of starting a new job! No, I am not. Everything! There is no ‘average day’ and that is what I love about my position. It provides me the diversity needed to keep me interested, focused, and driven. In addition, to providing me the outlet to continue to learn – strategy, concepts, and methods. I count myself truly blessed to have had a mentor, Walter Uccellini, who taught and nurtured me, allowed me to learn from my mistakes, trusted and respected me, continually challenged me, believed in me, and urged me to spread my wings. I will be forever grateful. I obviously love it here, otherwise I would not be marking my 30th Anniversary with UGOC. I guess I have always loved the energy of the organization as a whole and the continued challenges our industry is faced with. Granted, on a given day that same energy and those same challenges can have the reverse effect but those days are few and far between. 6.) What advice do you want to give yourself now, after working for the United Group during for past 30 years? Follow your passion and what you excel at, but don’t be afraid to try something new; you may surprise yourself!